Future of Blyth Spartans, you can make the difference! Following on from previous press releases on the future of Blyth Spartans, Chairman Tony Platten has stated that the Club is at a crossroad and that only the people of Blyth and Southeast Northumberland can determine the Clubs destiny. The Club is playing at its highest level ever and is currently three points and one place away from a play-off position…. 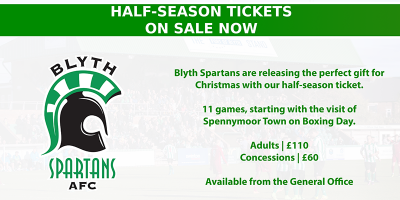 Blyth Spartans are releasing the perfect gift for Christmas with a half-season match ticket. The tickets will be valid for 11 home League games, starting with the visit of Spennymoor Town on Boxing Day. 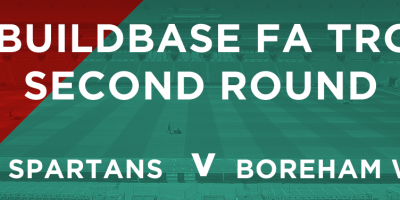 The prices are – Adults £110 Concessions | £60 Tickets are available from the General Office 9 am – 12 midday Monday to Friday and from the Supporters Club Shop. 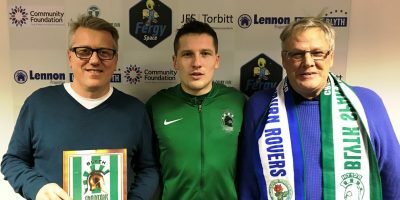 Long time Spartan supporter Jim Tuck sponsored Saturday’s Buildbase FA Trophy match against Marske United. 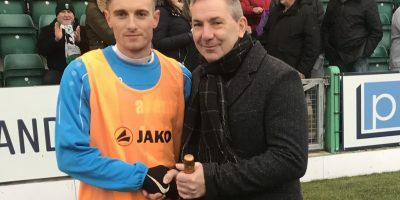 This was the first time Spartans had ever played against Marske and as well as winning 4-1 , to progress to the next round of the Trophy, Jim and his guests witnessed two other special events. Robbie Dale’s goal saw him become the second highest goalscorer in Spartan’s history, only Brian Slane has scored more….